Aloha! I’m Carol Paris, and I have many years of experience helping both sellers and buyers navigate the complex Oahu real estate market. Real estate transactions are not simple and attempting to handle all of the details while simultaneously relocating can be stressful, even overwhelming. My specialty is exceeding your expectations in a timely manner. 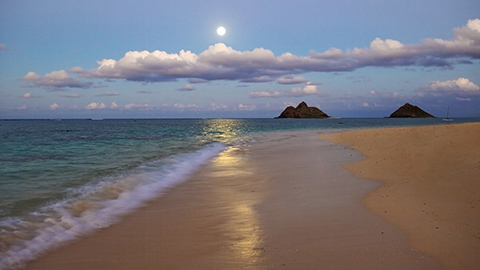 I also offer a referral service that can help you if you are moving to the other islands of Hawaii or elsewhere. 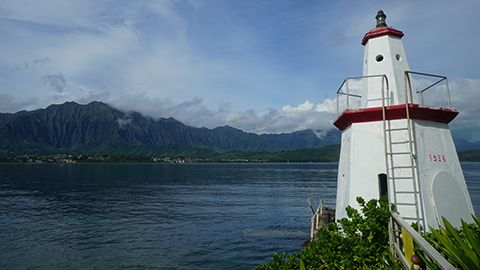 Keller Williams Realty has agents on all main Hawaiian Islands and offices across North America, and several other countries, for your relocation needs. While a great deal of real estate data is freely available on the Internet, this information may be insufficient or outdated. I am immersed in the real estate market on a daily basis and have viewed thousands of properties so that I am always up to date with current market conditions. 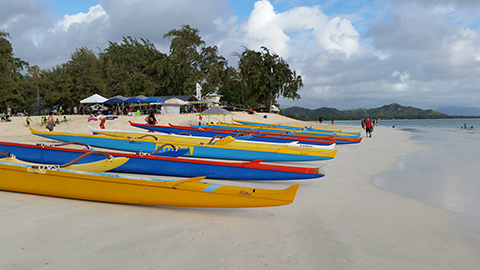 My detailed, expert knowledge of the Oahu residential real estate market will help ensure that selling or owning here will be as quick and stress-free as possible. Please read the testimonials on the right for an idea of how my clients appreciate my services. I have developed a wide network of contacts over the years and can help guide you through both your real estate transaction and other aspects of your move. These services include referrals for moving, transportation, schools, doctors, dentists and many other quality professionals upon whom you can depend. There is no substitute for the assistance of an award-winning real estate professional! 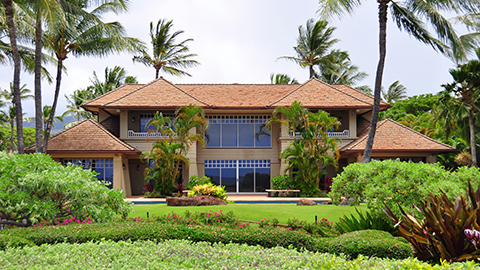 My current knowledge of the Oahu real estate market can help save you and make you thousands of dollars. Also, I have witnessed just about every mistake that sellers and buyers can make – and I know how to avoid these mistakes. 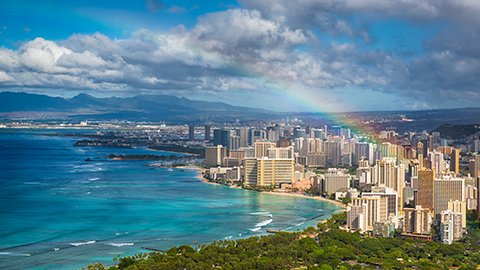 When you sign up for “Real Estate Secrets that have made My Clients Thousands of Dollars.” or “Five Secrets You Must Know about Owning a Home in Hawaii,” you will also receive free, immediate access to Oahu home listings. 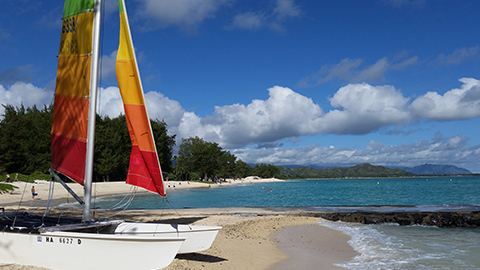 If you want me to send you the latest real estate listings customized just for you, please call my cell phone at 808-224-7071. Call me anytime – even late in the day. Just leave a message and I will get back to you as soon as possible. 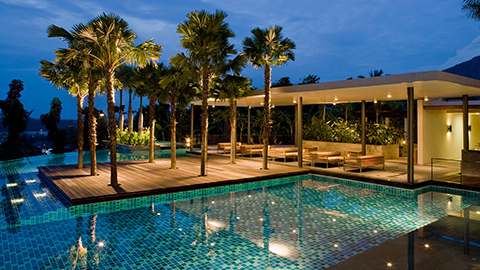 My expertise will transform you into a savvy client and will give you an edge in this real estate market. These insights have saved my clients a great deal of time and aggravation and have helped both sellers and buyers obtain astonishing results! Call me today at 808-224-7071 to schedule a complimentary consultation. Are you a seasoned or budding entrepreneur planning on growing your business? 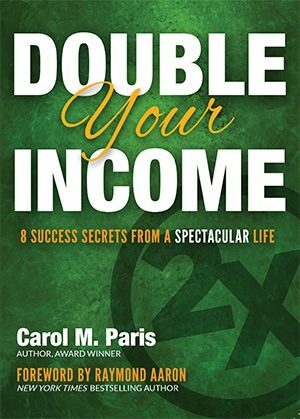 Carol M. Paris gives you the secret keys to success in this dynamic new book, Double Your Income: 8 Success Secrets from a Spectacular Life. Along the way, she shares how her businesses succeeded and what she did consistently throughout her career to achieve that success. From her childhood in the Midwest, through her travels with her family, Carol introduces you to her background in business and the restaurant and real estate industries. Carol takes her experiences as an employee and business owner and distills them to help you create an amazing and successful business of your own. The 8 Success Secrets are outlined with actionable items that you can do now. You can Double Your Income and achieve true growth in your business. Carol explains the importance of each secret and shows you the steps to achieve the 8 Success Secrets. “Carol knows intimately the [Hawaii] housing market and understands the real estate sales process. She understood and met our needs in a timely, friendly, and professional manner. Carol has set the standard that all agents should strive to achieve.” – M.J.
“Carol worked diligently to determine our housing needs and made sure the homes she located were within our specifications. Her interviewing skills made it easy to quickly develop a search plan… She spent the time to identify qualified candidate [homes] and submitted only those for review. Working with Carol was a unique and refreshing experience.” – Z. F.
“Carol is an outstanding Realtor who put forth 110% to sell our home in a timely fashion with persistence and class. She is an exceptional negotiator and multi-tasker.” – D.P. & J.P.
“Carol worked very hard on our behalf even before we arrived on the island… Upon arrival she provided us with a very detailed orientation to the island. She listened intently to our needs and desires, and showed us exactly what we wanted to see each day. She did not waste our time showing us homes that did not fit our criteria. Carol was willing to work long after everyone else had gone home. Had it not been for her insistence that we work past 10 p.m. on the night we were drafting the contract, we would have lost the sale to two other offers that were submitted the next morning. Thanks to her we got the home we wanted. She truly takes a personal interest in you and doesn’t stop until you are 100% satisfied. Even after the sale, she was there to ensure that things were going well and to tie up any loose ends.” – S. L.
“We would like to express our gratitude for the extremely professional service we received by your agent and our newly adopted family member – Ms. Carol Paris. Carol’s skill, talent, and experience in the real estate market were apparent and she exceeded all expectations as our agent/advocate. Thank you for meeting our real estate needs and allowing Carol to assist our family in this stressful, but exciting transition.” – J. C.
“We met Carol who showed us several homes. 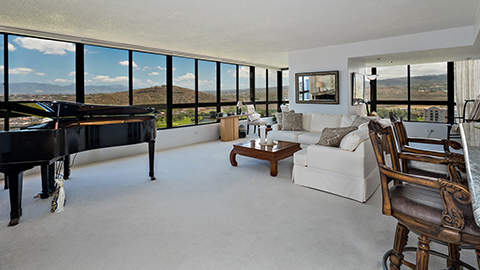 Her professionalism, candor, and intuitive ability to know what we were looking for helped us buy a beautiful piece of property.” – B. R.
“Carol Paris helped us look at homes during the short, intense 10-day period over Christmas. She was very patient with our difficult circumstances. She helped us rule out the areas of Hawai’i where we would not be happy in order to help us focus on the areas of interest. Even though we first started looking at homes in the end of December, we were closed before the end of February! We found a home that the whole family is excited about. (That is not an easy chore! )” – P. M.
“I wanted send a personal message of thanks on behalf of the entire family to both of you for the successful sale of my mother’s property. It has indeed been a pleasure to work with you and I especially appreciate your professionalism and expert advice in helping us navigate our way through this typically stressful and arduous process. The long distance transaction was a bit of a challenge and as was the market conditions, yet despite that you succeeded in helping us make this a virtually seamless transaction. If ever you shall require a recommendation for your business, we are happy to oblige. With thanks,” – D.L. 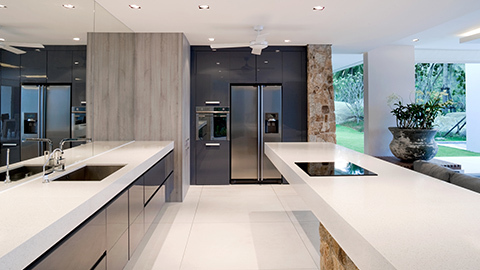 “My wife and I have worked with a variety of real estate agents over the years. Occasionally an agent would stand out as being above average or even very good. Carol, however, has set a standard that all agents should strive to achieve. .. Carol is the only agent to ever spend four continuous hours with us in our home arranging it for the best possible presentation. Carol had all of the necessary market analyses done at our first meeting. Carol worked open houses for us every single weekend when we asked her to. When we were discouraged, Carol explained the market and provided much needed positive support. The list goes on… It is our honest belief that no other agent could have closed the deal for the sales price Carol got.” – I.S. “Thank you Keller Williams Realty and to your agent, Carol Paris, for the successful sale of my property in Honolulu, HI. The project was challenging given a dispute between the developer and the AAOA Board, but Carol’s persistence and ingenuity overcame the obstacles and a fair and reasonable settlement was achieved for both parties. Her combination of expertise and professionalism are seldom found and are deeply appreciated.” – P. L.
Carol Paris has over 40 successful years in residential real estate sales and relocation. 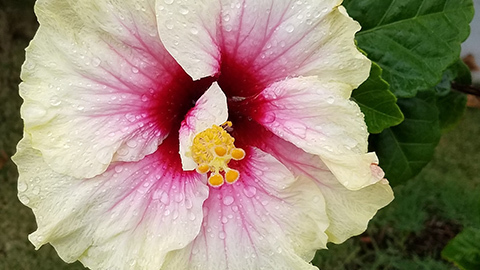 She has owned property in Hawaii since 1968 and Carol has earned many designations which attest to her passion and commitment to being the best in her field. 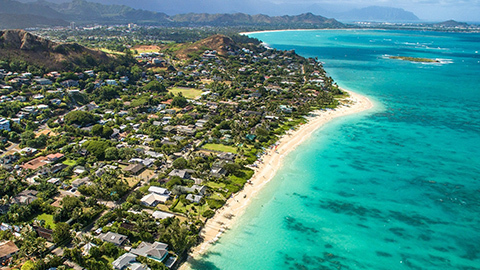 Carol has assisted buyers in owning and has helped sellers in Diamond Head, Kahala, Hawaii Loa Ridge, Waialae Iki, Makiki, Manoa, Waikiki, Hawaii Kai, Kaneohe and Kailua as well as the communities of Mililani, Royal Kunia, Waikele, Ewa Beach, Kapolei, Ko Olina and many more. Carol has served members of all the military branches so she is familiar with the various communities surrounding military installations. If you wish to own a home or sell property, including land, Carol has the expertise and experience to make your real estate transaction flow as smoothly as possible. Carol M. Paris began her real estate career in the Virginia/Washington, D.C. area after numerous corporate moves. The knowledge gained from moving her family and household gave her insight to better help people during stressful relocations. For fourteen years, Carol operated her own full-service, six-division, real estate company, Carol Paris Brown, Inc. Carol helps relocate many people including numerous employees of small and large companies such as, Gannett Publishing (USA Today) and Chevron. Carol enjoys guest speaking at real estate conventions and meetings, imparting her expertise to other real estate agents in various areas of the industry. Carol has served as a Governor of the National Association of Realtors Residential Sales Council. She has achieved additional designations and awards in Hawaii to include Sales Person of the Year for the Honolulu Keller Williams Realty office. 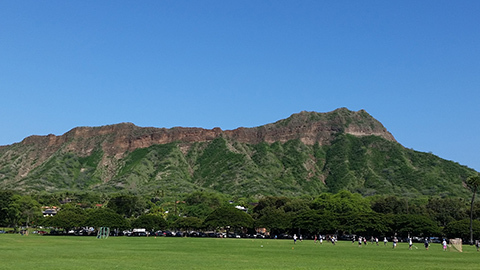 Carol is always adding to her educational expertise and staying current in the Oahu real estate marketplace. When Carol has spare time she enjoys traveling, dancing, music, and spending time with family and friends. of an award-winning real estate professional!